The average age that someone in the UK will receive an autism diagnosis at is just five years old, yet so many people are left waiting for answers for much longer. I finally received my diagnosis when I was seventeen, in September of 2015, and have since heard many stories of people in the same boat, having received a diagnosis far past the stage where it would be considered late. I think a lot of people regard late autism diagnosis’ as a rare thing; something that you hear about occasionally, but that doesn’t happen to most people. There has been very little research into statistics with late diagnosis’, but from the interactions I have had with other autistic people since my own diagnosis, I can say for sure that this occurs more often than people think it does. I would even go as far as to say that I am lucky in receiving my diagnosis when I did. Although I went through seventeen years before my diagnosis, and questions about myself that nobody could answer, I’ve heard stories from people who have had to wait much longer. Some people are waiting far into adulthood before they receive their diagnosis. Some people don’t even realise it’s a possibility until their own children are going through the diagnostic process themselves. With the amount of people in a similar boat to myself, I’m sure I’m not the only person who has faced questions about this with very little understanding for what a late diagnosis actually means. Perhaps you’re here because you want to learn more about it, which is great, and I plan to do just that. One of the biggest misconceptions that I’ve had aimed in my direction several times is people questioning the accuracy of my diagnosis, as if receiving it late means I may as well not have got it at all. 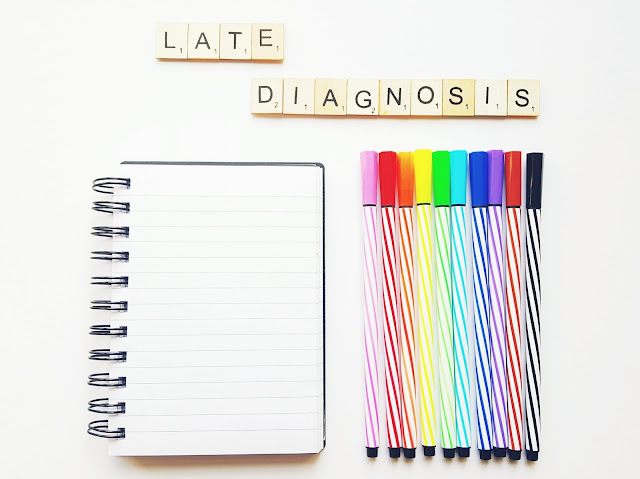 A lot of people assume that people who receive a late diagnosis don’t struggle as much as those who received a diagnosis when they were younger. They like to throw the ‘high-functioning’ label around a lot, too, which is a label a lot of autistic people disagree with because of the misunderstandings behind it. Some people take this a step further, asking me something to the effect of, ‘but are you sure you’re autistic—like, really sure?’ in such a condescending tone it’s impossible to misinterpret what they’re hinting at. I needed support in my everyday life even before I received a diagnosis, and I’m sure I’m not alone. I wasn’t in mainstream school in my last two years of secondary school and I wasn’t engaging in services that had the potential to help me if my communication difficulties had been made apparent at the time. Even since my diagnosis, my communication difficulties have persisted and worsened over time, something that would’ve happened regardless of the piece of paper I now own confirming my diagnosis. People often fail to take other reasons that explain the rates of late diagnosis’ into consideration, too, like the fact that females commonly mask their autistic traits from a young age through observing and mimicking social rules exhibited by their peers. There is also a medical bias towards autism, with some professionals believing that this is a male condition, or symptoms of a male brain, which dates back to a belief from when the disorder was first discovered. Even though this has been disproved several times sine, with some studies suggesting there could be a difference of 2:1 in diagnostic rates between males and females overall, it’s a belief that some psychiatrists still struggle to leave in the past. It is also common for people who receive a late diagnosis to have received mental health diagnosis’ beforehand. That isn’t to say mental health conditions aren’t common in autistic people, because some studies have suggested around half of autistic people will suffer from suicidal thoughts, depression or anxiety at some point in their lives, but it’s often the case that these comorbid conditions overshadow anything else that may need to be considered. Even though mental health conditions do have high comorbidity rates among autistic people, some stories of late diagnosis’ have displayed a long history of misdiagnosis before landing upon the diagnosis that fits an individual best. A common one that girls are often diagnosed with, based on the above medical bias, is borderline personality disorder, something which many professionals believe cannot exist alongside autism due to their conflicting symptoms. I’ve read about people who have received a bipolar diagnosis, and have been medicated so much that they’ve become a shadow of themselves, only to realise they are autistic at a late date, too. There are probably a lot more things that could be said about misconceptions when it comes to people who receive a late autism diagnosis, but these are the ones I’ve seen around the most, and the ones I’ve been exposed to myself, so I wanted to bring attention to them in this blog post. I do just want to say that, despite the misconceptions that come alongside the late diagnosis and the things I have written in this blog post, I am more than happy to be autistic, and I wouldn’t change who I am for anything. I’d also like to take this opportunity to thank Ali for allowing me to write this guest post. It’s given me an opportunity to share information about a disorder I love raising awareness about, and hopefully help to put people right when it comes to what a late diagnosis does and doesn’t mean for an individual. 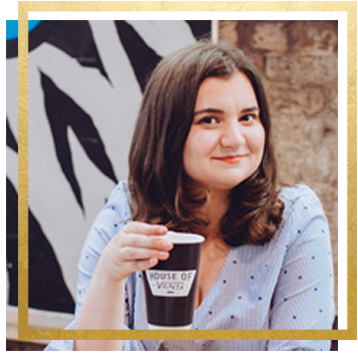 I’ve really enjoyed writing this blog post, and getting to know the author behind this blog. A big thank you to Rebekah for taking the time to write this eye-opening post about her diagnosis experience. I think it’s important to talk about autism diagnosis’ as a great resource for those thinking they be autistic themselves who are wanting to know what the process is like! 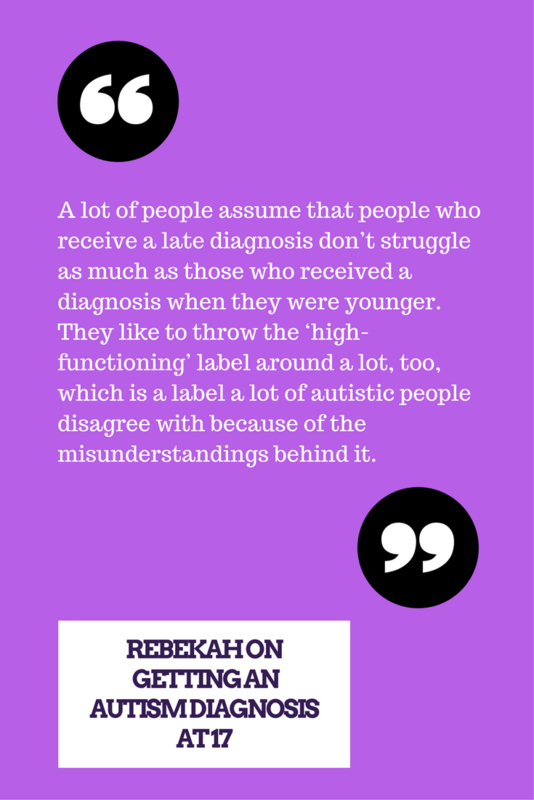 Check out Rebekah’s blog and follow her on twitter so you can hear more about her autistic experience. YAY thank you, Rebekah will really appreciate your comment! Yay for getting an accurate diagnosis Rebekah! I completely agree with you about the way people throw the term 'high functioning' around like means there is no struggle. I've had people do that about my ADHD as if all of the many coping skills I've developed and adapted through years of struggling don't count. I find hurtful and sad.